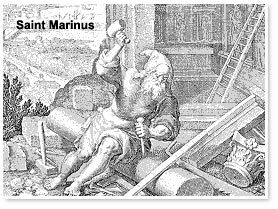 According to tradition, a stone worker from Croatia named Marinus went to the town of Rimini. Because of his Christian sermons, he escaped persecution and lived on Monte Titano, where he built a small church and founded what is now state of San Marino. The official date of foundation of the Republic is 3 September 301 and the first community was formed in the mid-5th century. During the early phase of the Italian unification process of the 19th century, San Marino served as a refuge for numerous persons who were persecuted because of their support for the unification. 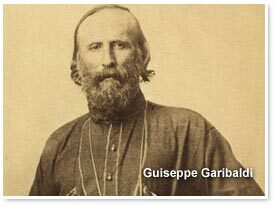 In memory of this support, Giuseppe Garibaldi accepted the wish of San Marino not to be incorporated into the new Italian state. Successively, Napoleon III refused to take the country. In World War II, San Marino did not join Italy in declaring war against the United Kingdom in 1940 and immediately declared its neutrality.